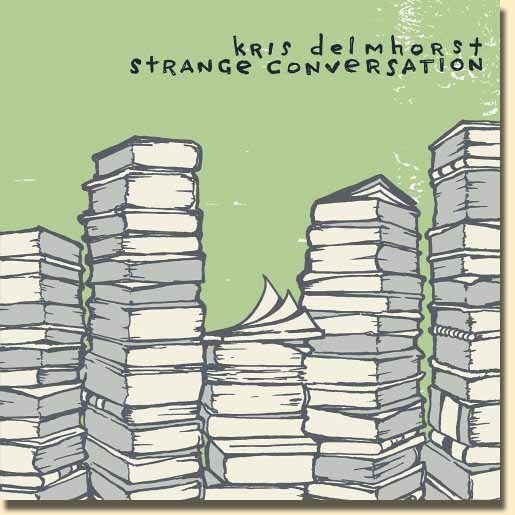 OTHER KRIS DELMHORST SONGS: For transcriptions of many other Kris Delmhorst songs, done by Kris herself, visit the Music page at www.krisdelmhorst.com. Did the (C)young folks take their pleasure? Was the ocean warm in May? Did the (F)parties start at midnight, did they roll until mid(C)day? And did the (G)ladies bloom like bellflowers, every (F)time you’d (G)start to (C)play? (G)Suspension, solution, asking must we (Am)die, must we (Am/G)die, must we (D/F#)die? So were you (C)happy? I was happy. You still happy? Yes, and you? Then more (F)kisses! Why’d we stop them, when a million seemed so (C)few? But what’s (G)left behind I wonder, when the (F)kissing (G)has ad(C)journed? (G)Suspension, solution, asking must we (Am)die, must (Am/G) we also (D/F#)die? For the (Am) and the (C) in the first line of each verse, fret the 3rd fret on the high (E) string. *The asterisk indicates a walk up through the 2nd fret on the 5th (D) string. Also, the (C/B) is just a walkdown (x20030) from the C to the Am. Intro: (Am)*(C) . . . (Am)*(C) . . .
Well I (F)shine for (G)you . . . The (F)way I (G)always (C)will . . .
--/F#: just a quick walk-down which you'll play by just hitting the 2nd fret on the 6th string while transitioning from the (G) to the (Em) chord.